Nearly 125 million Americans live in counties with dangerous levels of air pollution, with Californian cities dominating the list, according to a report from the American Lung Association, citing data from 2013-2015. "California has dominated the top 10 list every year. In fact, a California city has been number one every year since the report began in 2000," Will Barrett, Senior Policy Analyst for the American Lung Association in California. 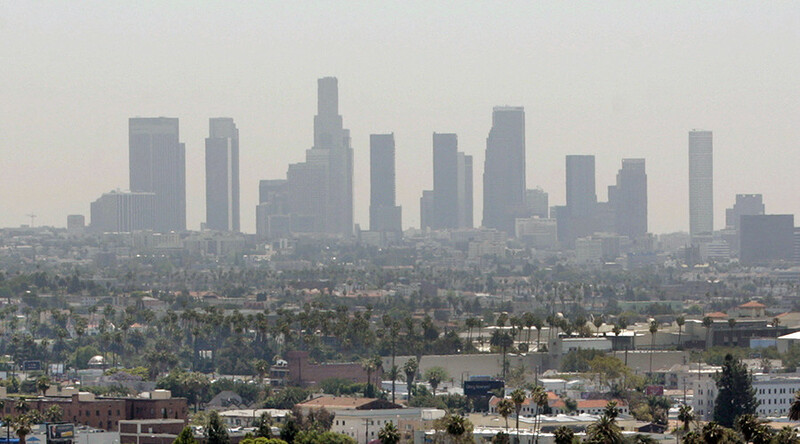 "For ozone pollution, Los Angeles has topped the list the past 17 or 18 reports." The report did find evidence of cleaner air. While 125 million Americans are still living with high rates of pollution, the report found it was a drop of 41 million from the 2016 report, based on earlier data. The progress in cleaner air has come in part due to cleaner power plants and increased use of cleaner vehicles and engines, leading to fewer days of high ozone levels and lower levels of year-round particle pollution. “Americans’ lung health is far better protected than it was before the Clean Air Act health protections began nearly five decades ago,” said Harold Wimmer, national president and CEO of the American Lung Association, about the ‘State of Air’ report released on Wednesday. California cities top the list of those most polluted by short-term particle pollution, among them Bakersfield, Fresno, San Jose, and San Francisco. California’s soaring population, weather and topography are all factors that contribute to its air pollution, in a state where many people commute and live in valleys and basins where pollution tends to settle. Short-term particle pollution is also brought on by increased heat and changes in climate patterns, drought and wildfires. The report found that fewer people suffered year-round levels of particle pollution, which comes from coal-fired power plants and diesel engine exhaust fumes, both targeted by the Clean Air Act, although 19.9 million were still living with unhealthy levels. California’s Visalia-Porterville-Hanford was an area where levels worsened and has the dubious title as the most-polluted city for year-round particle pollution. The 2017 report found that fewer people suffered from unhealthy ozone pollution than in the 2016 report, although 116.5 million lived in counties that have too much pollution. Los Angeles remains the most polluted city for ozone, which is created by emissions from power plants, cars and trucks. “Inhaling ozone pollution acts like a sunburn of the lung, and can trigger coughing and asthma attacks, and may even shorten life,” stated the report. Only six metro areas recorded no days when pollution reached unhealthy levels, according to the report: Burlington, Vermont; Wilmington, North Carolina; Fort Myers and Melbourne, Florida; Elmira, New York; and Honolulu, Hawaii. Trump’s budget proposal contains a 31 percent cut to the Environmental Protection Agency (EPA), including weakening and eliminating the Clean Air Act. “Everyone has a fundamental right to breathe healthy air,” said Wimmer. The report also comes with recommendations for ways the public can help create cleaner air. Among them are driving less, using less electricity, not burning wood or trash, and requiring local schools to use clean school buses.